World Premiere at 401 Film Fest, Rhode Island, October 23! 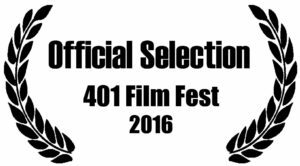 Wow, I’m really excited to announce that my first “V-cast” will be premiering at Rhode Island’s 401 Film Fest! They must have great taste! IN BLOOD! The Festival is October 21-23, 2016, and our short premieres as the first filmic journey in Showcase #5 on Sunday, October 23 at noon. I guess I’ll have to use the underground tunnels to get in! Author Marty AllenPosted on October 4, 2016 Tags 401 film fest, animation, experimental web series, experimental web short, fun cartoon, martystuff, monsterface industries, rhode island film fest, uncle monsterface, vampire, vampire boy, vampire boy premiere, weird cartoonLeave a comment on World Premiere at 401 Film Fest, Rhode Island, October 23! Vampire Boy premieres at Rhode Island’s 401 Film Fest this Sunday – VENUE CHANGE!